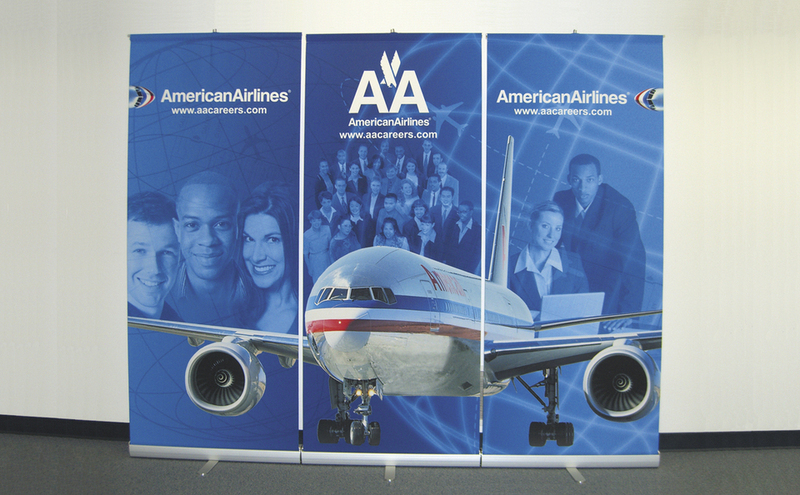 Before: American Airlines (AA) had six aging 10’ display units for small shows, a 30’ custom cutaway fuselage for large shows, no good solution for in-between shows, and big bills to ship, install, dismantle and store the cumbersome structures. 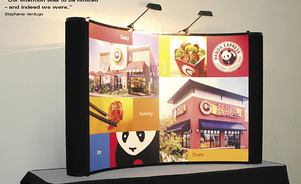 After: With Skyline as its exhibit partner, AA bought a fleet of banner stands and pop-up displays for small shows, rented a variety of exhibit structures up to 20’ by 20’ for in-between shows, and slashed non-productive trade-show expenses. Better yet, American’s biggest show of the year was its most successful ever, and the cumulative cost savings allowed the airline to expand its show schedule. Susan Williams, AA’s Manager of Brand Management & Targeted Marketing, uses Skyline as an extension of her department. She taps into Skyline’s expertise for trade-show planning and exhibit management services – coordination of storage, shipping, installation and at-show troubleshooting through Skyline’s global network – that are tailored to the airline’s needs. “Overall, it’s a much more appealing way to run our business,“ Williams says. “Skyline has been an absolute dream to work with, and I don’t give out compliments like that easily,“ Williams says. 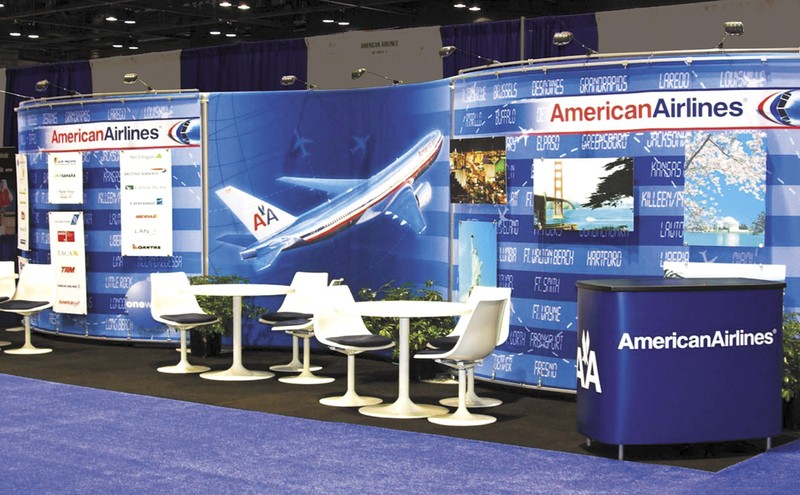 American Airlines now attends more small shows, establishing brand presence with high-quality graphics that appeal to specific market segments. 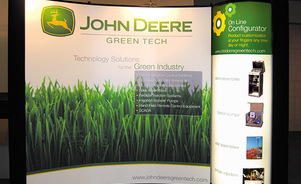 And the lightweight displays are easy for airline representatives to transport, set up and dismantle. Skyline has a variety of exhibit systems that are compatible to create nearly any look -- and meet any function -- imaginable. 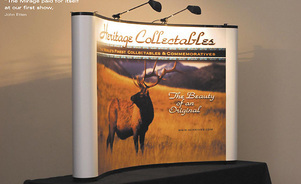 Skyline exhibit systems are structural to support AV equipment and product. Look like a leader! 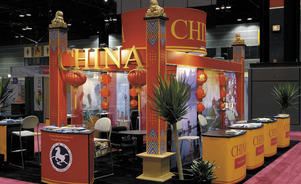 Skyline's stylish trade show booths are perfect for exhibitors requiring high-design and structure to show off their product or company image. 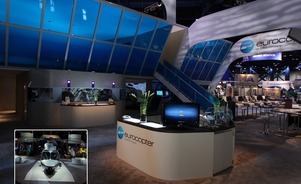 Eurocopter rose above the competition at Heli-Expo, North America’s biggest helicopter show with a brand-building, doubledecker exhibit stretching 120′ per side. A 6,850-mile flight from New York City to Beijing may not be practical for everyone in the travel industry, so the China National Tourist Office (CNTO) did the next best thing and asked Skyline Exhibits to create a glimpse of China for North America. Heritage Collectables garners one-third of its annual sales at a dozen shows and needs as much space as possible to display its commemorative knives and firearms.